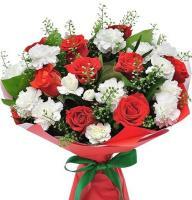 With around 600 member florists in Ireland, Overseas Flower Delivery can deliver to any address, local residence or hotel in Ireland and as well as to over 140 countries throughout the worldwide. 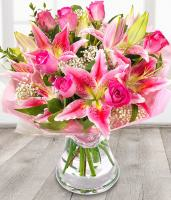 Whatever the occasion, our florists in Ireland have an unrivalled reputation for offering the very highest standards for both quality flowers and service. 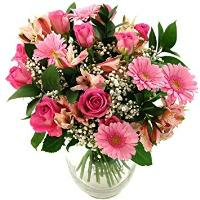 In choosing to order your flowers from our online flower shop you can be totally confident that your chosen flower will be individually created by one of our highly experienced and creative florists in Ireland, and that your flower gift will be hand-delivered to the chosen recipient in Ireland. 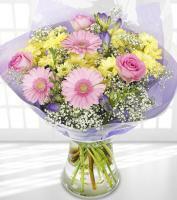 All of the flower orders we receive are passed to our member florists in Ireland to fulfil. 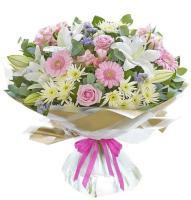 Unlike others we do not mass produce our flowers on a production line, or deliver our flowers by courier or post. 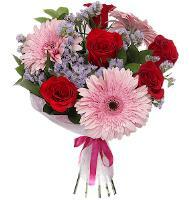 Our Ireland florists work to the highest professional standards, using only the finest and freshest flowers available in Ireland. 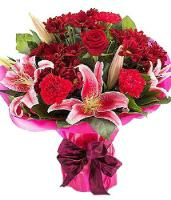 Because our florists in Ireland make all our floral gifts to order, we can offer same day delivery on all flower orders provided that we receive your flower order before 1pm. 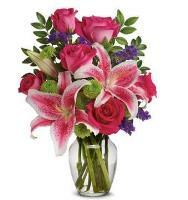 You can also choose to specify a flower delivery date. 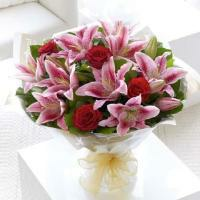 Our online flower shop let you choose the style and colour from our online flower catalogue to suit the person or occasion and decide how much you want to spend then we send your flower order to one of our member florists in Ireland, local to the recipient, who will use the freshest seasonal flowers to create a totally unique design, which they will hand-deliver on your behalf in Ireland. 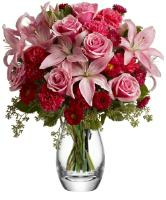 Overseas flower delivery is an online florist that sends flowers to Ireland. 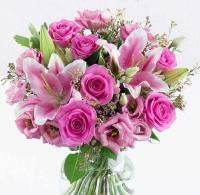 Ireland florist offers flower delivery for any occasion including: Wedding, Valentine, funeral, sympathy. 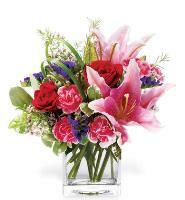 When completing the flower order form please make sure you supply recipient's valid phone number. Transient address orders cannot be guaranteed. 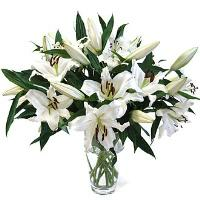 When ordering flowers for a funeral or sympathy please make sure you include the name of the deceased and any other necessary information needed to carry out the flower delivery in Ireland. 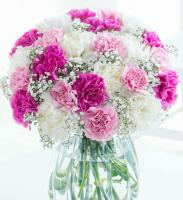 Our florists in Ireland also deliver flowers for any occasion, major holiday or any other flower need you might have. 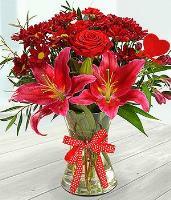 Christmas Flower Delivery in Ireland - A Christmas flower gift from our online flower shop, is sure to make any Christmas or Holiday celebration 'merry and bright'! Along with our premium Christmas fresh flower choices, our florists also offer Christmas trees (on early notice only), Christmas flower products and Christmas personalized message. 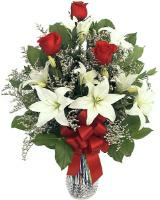 Shop early for our best selection of poinsettia plants with unqiue colours and sizes available. 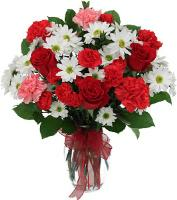 Most of the Irish florists are closed for a week from 25th December till 29th December. 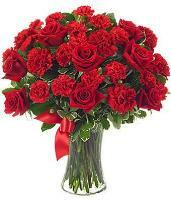 Valentines Day Flower Delivery in Ireland - Red roses are always a great Valentines Day gift, to say 'I love you' to your special someone in Ireland. 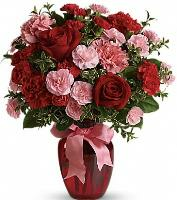 Our florists in Ireland have everything ideal Valentines Day flowers you might need to make your Valentine in Ireland smile. 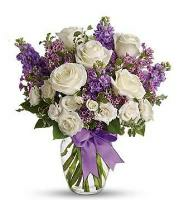 Mothers Day Flower Delivery in Ireland - Mothers Day is a very special holiday for any family, and our International flower delivery service in Ireland had unique Mothers Day flower gifts that are sure to make any mum smile. 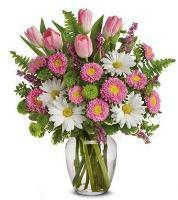 Browse and order Mothers Day flowers online for all your Mothers Day floral and gift needs.